The Health + Humanity Oracle Cards were created to bring to the masses eclectic ideas for navigating everyday challenges. Rooted in naturopathic principles and heavily influenced by Ayurveda, Traditional Chinese Medicine, and Native American spiritual traditions, this oracle deck can provide guidance through life's unpredictabilities. While useful as a standalone divination tool or spiritual practice, they're pretty awesome when paired with traditional tarot spreads, too! Printed on standard poker-sized cards (measuring 2.48''×3.46'' or 63mm×88mm, the Health + Humanity Oracle Card Deck includes 65 full-color cards packaged in a plain white tuck box. All decks are printed to order, so please note that it may take up to 4 weeks for delivery! 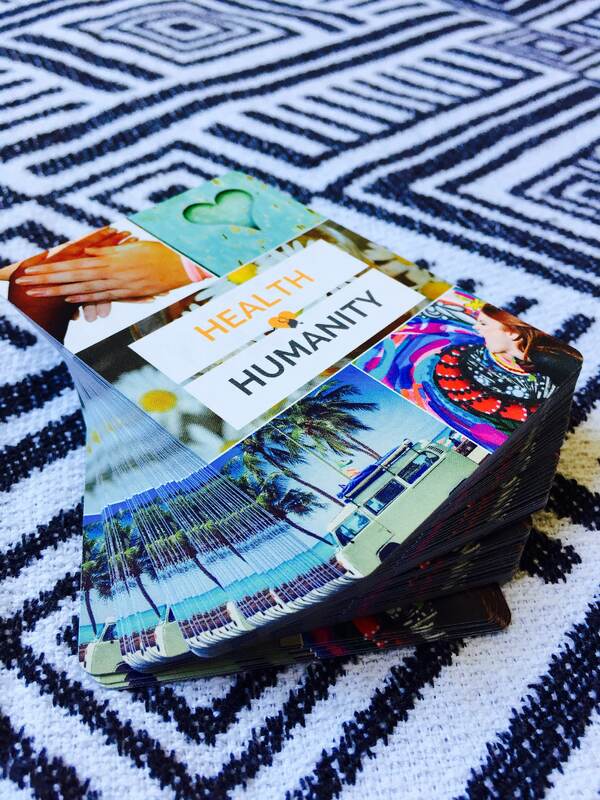 A PDF version of The Health + Humanity Oracle Card Guidebook is included with each Oracle Deck, sent to you via email. Softcover copies of the guidebook are available separately through SarahOuanoND.com's Bookstore ($15.99), and, like the card decks, are printed to order. All proceeds from the sale of these oracle cards and guidebooks fund the opening and operation of Health + Humanity Clinic. This nonprofit naturopathic clinic provides in-person and distance naturopathic care, regardless of ability to pay.